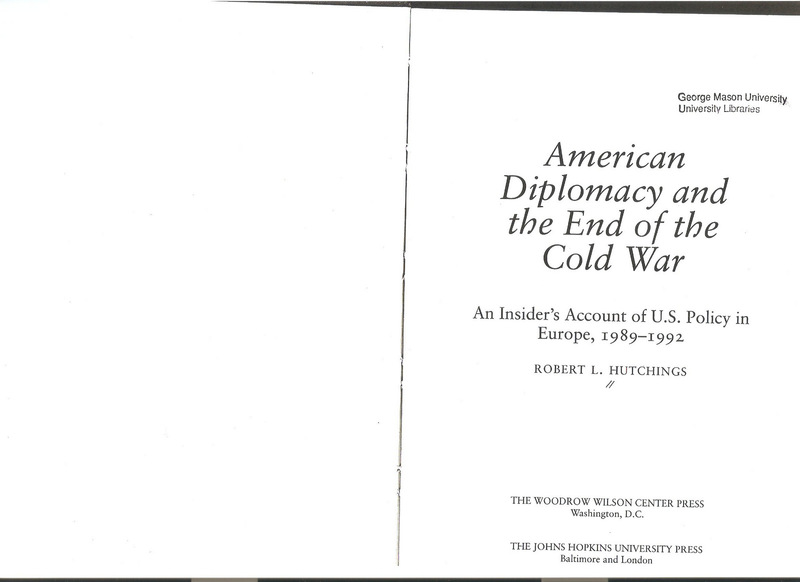 As NSC Director for European Affairs from early 1989 through 1992, Robert L. Hutchings was well-positioned from an “all source” informational standpoint to have a good idea of what transpired in December 1989 in Romania when communist dictator Nicolae Ceausescu was ousted from power. 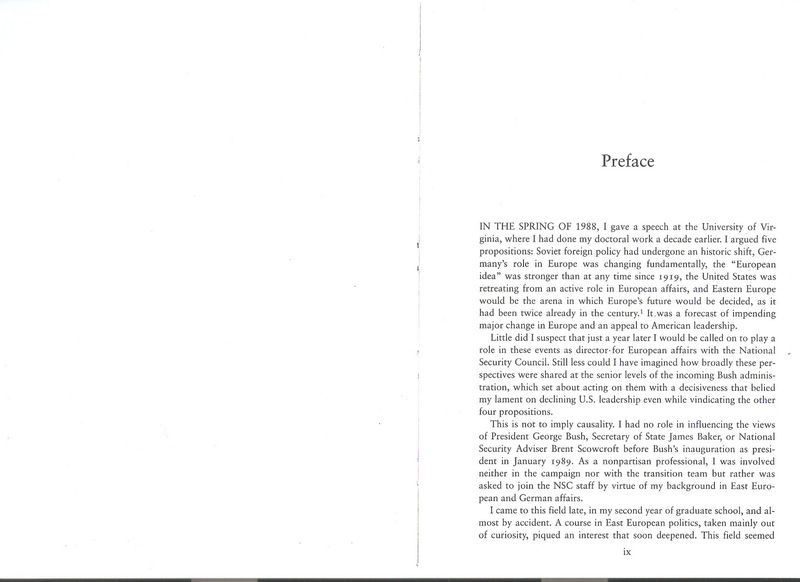 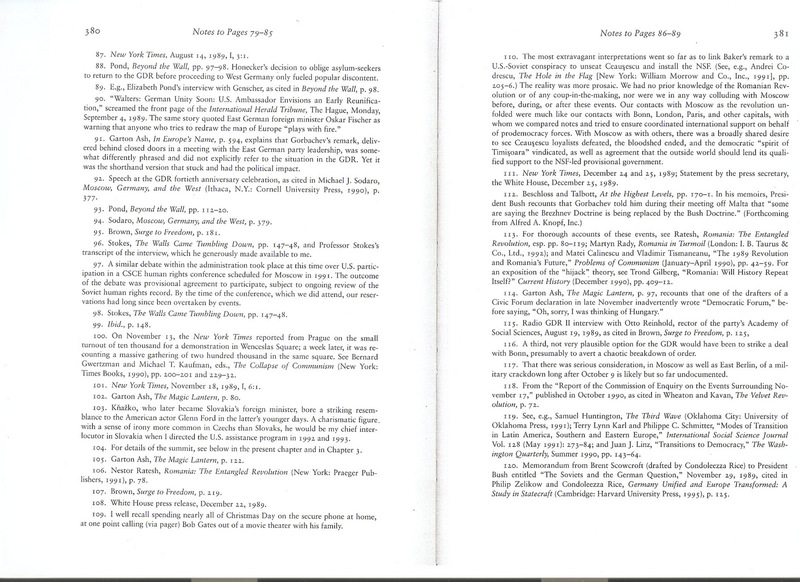 See, for example, the pages of the preface below, the last para p. 85, and endnote #109 on p. 380. 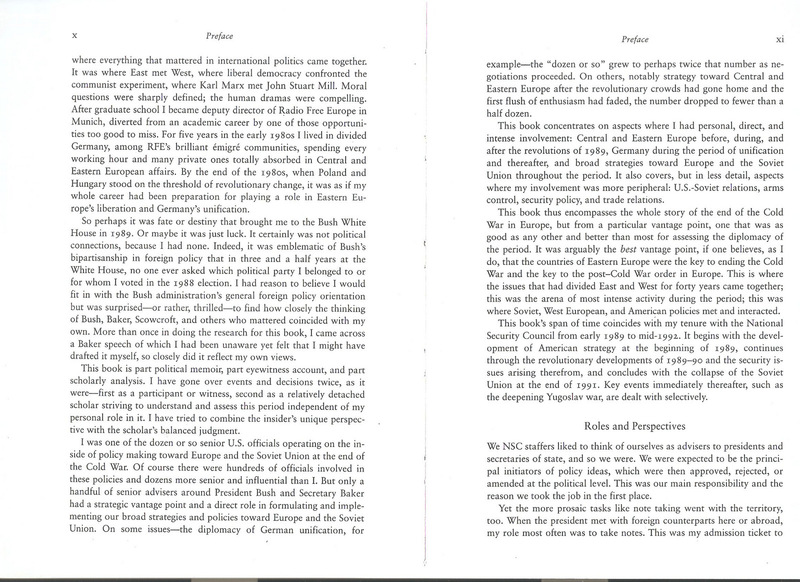 In other words: none of the crap which continues to foul up 95 percent of what is written about the Romanian Revolution of December 1989 inside and outside Romania today. 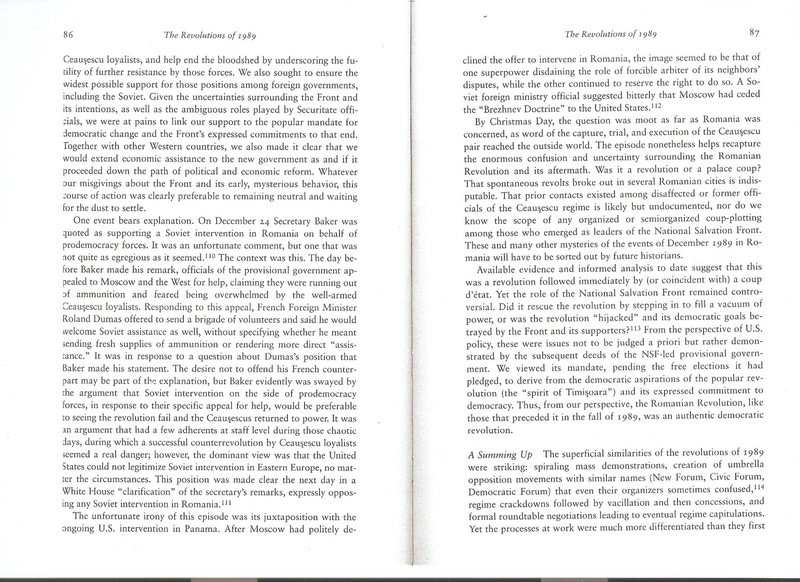 No “invention of terrorists” by Romanian Television and the leaders of the National Salvation Front, as was enshrined in the so called Tismaneanu Final Report of 2006, based on the claims of Military Prosecutor General Dan Voinea. 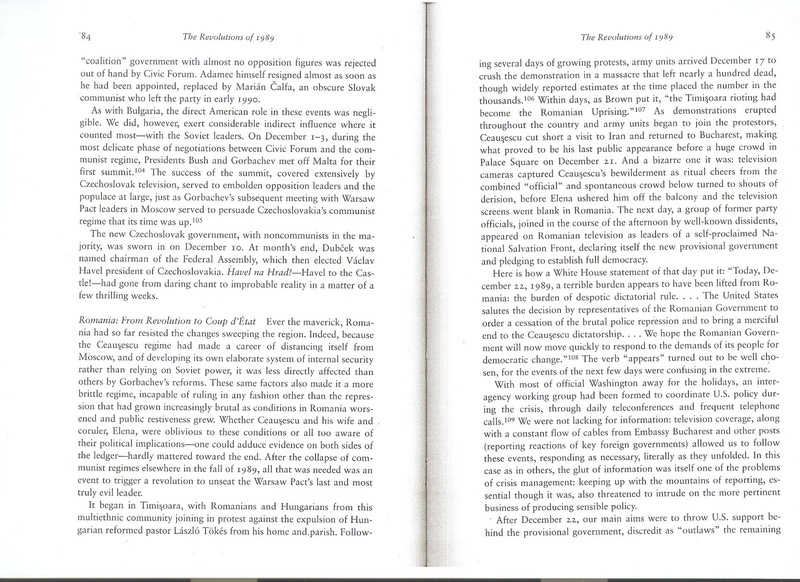 No absurdity about Generals Victor Athanasie Stanculescu and Stefan Guse intentionally giving contradictory orders to different parts of the Army or deceiving them with the creation of false radio-electronic targets, thus creating a situation in which there were no terrorists and Romanians just shot aimlessly into one another, leaving everything an example of “friendly fire” in the ultimate example of “diversionary war theory” in the history of “diversionary war theory.” And, finally, no stupidity about thousands of Soviet agents, infiltrating Romania under the cover of “tourists” and overthrowing Nicolae Ceausescu (an argument favored by Larry Watts and many others).